Pritam is responsible for product research and development as well as solution design and architecture for BRIDGEi2i. He is one of the co-founders of BRIDGEi2i. Pritam has over 15 years of analytics consulting experience in target marketing, pricing, credit risk, audit analytics, fraud detection, forecasting, spend analytics and market research. 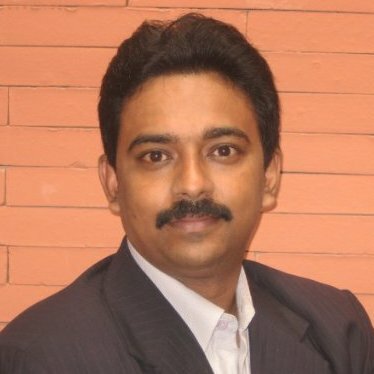 Prior to BRIDGEi2i, Pritam served HP as the Director of marketing, customer and e-commerce analytics and led teams focused on risk and financial analytics at GE. Pritam won several awards for innovation from designing the pricing and discount strategy for GE Plastics using game theory, to defining the capital allocation strategy for Genworth (GE Insurance) using a net income optimization framework hailed by Wall Street analysts and other company-level innovation awards at both GE and at HP. He is passionate about building innovative solutions for customers. Pritam is a Gold Medalist from the Indian Statistical Institute Calcutta, where he completed his Masters in Statistics with specialization in Mathematical Statistics and Probability.